Definition at line 43 of file Apps/unix/colortracker/main.cc. 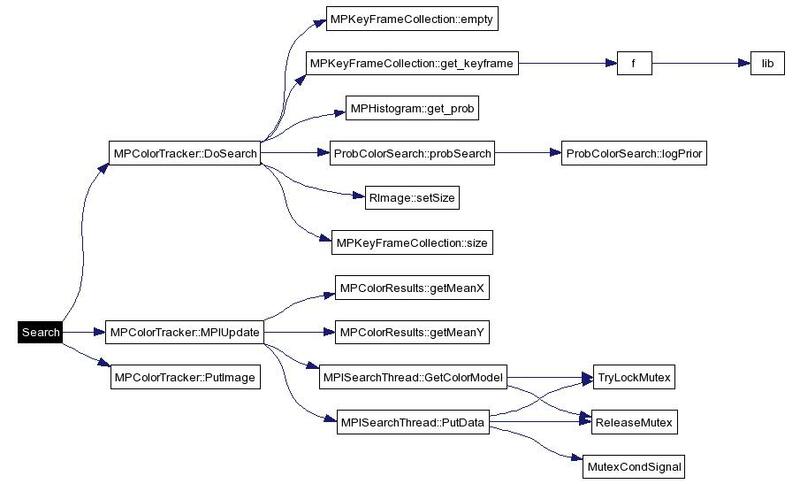 References RImage::array, RImage::height, MPColorTracker::InitStreaming(), m_image, m_pixels, and RImage::width. 00050           cerr << "Error opening file: "
00052           << ". ImageMagick said: "
Definition at line 111 of file Apps/unix/colortracker/main.cc. Definition at line 72 of file Apps/unix/colortracker/main.cc. References RImage::array, ObjectList::empty(), FaceBoxList, faces, ObjectList::front(), MPColorTracker::GetColorBox(), MPColorTracker::GetLastFaces(), RImage::height, m_pixels, ObjectList::pop_front(), ObjectList::size(), TSquare::size, Square, RImage::width, TSquare::x, and TSquare::y. Definition at line 66 of file Apps/unix/colortracker/main.cc. References RImage::array, MPColorTracker::DoSearch(), RImage::height, m_pixels, m_results, MPColorTracker::MPIUpdate(), MPColorTracker::PutImage(), and RImage::width. Definition at line 115 of file Apps/unix/colortracker/main.cc. Definition at line 114 of file Apps/unix/colortracker/main.cc. Referenced by displayResults(), Search(), and SingleShotColorSearch(). Definition at line 116 of file Apps/unix/colortracker/main.cc.